We hired 2 male nurses from the hosptial for Scott’s palliative care to come 8-10:30AM every morning before they go in to work. They are both gentle compassionate human beings, as most nurses are around the world. They are available to us for emergency night calls also. 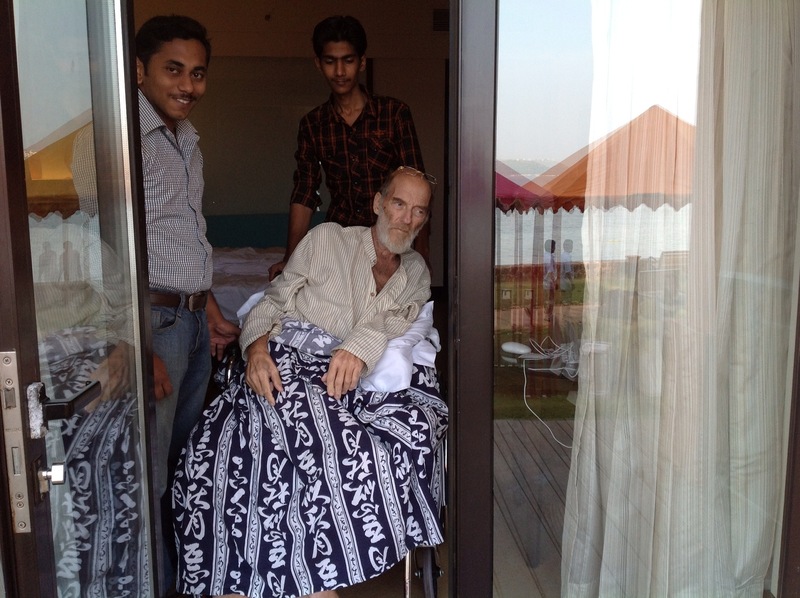 Anyway, they succeeded in getting mr. hell- on-wheels bathed, massaged, exercised, and into a wheelchair today and that was the first time Scott’s been out of bed, out of our room in 9 days. The joy ride lasted just long enough for Mohina’s cleaning team to make the bed and vaccum the floor while Sir was out of the room. The tall thin nurse is named Afsal and the shorter one seen smiling here is named Jubily. 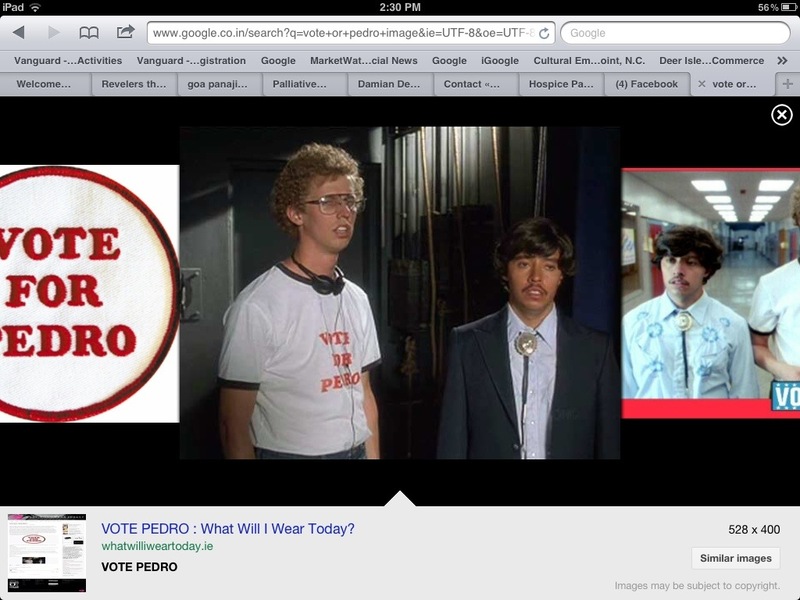 But for those of you who are fans of the movie Napolean Dynomite like we are, you would have sworn it was Pedro. I don’t know about Pedro’s nursing skills, but Jubily? He has my vote! This entry was posted in Uncategorized and tagged Going to Goa Blog, napolean dynomite, nurses in india, Scott Morgan, traveling with cancer, vote for pedro. Bookmark the permalink.